I’ve been highlighting some standout colorists this week in a bid to give them the credit they deserve. See my original post where I explain why I chose to do this as well as spotlight one of the best colorists ever, Dave Stewart. Today I focus on Jordie Bellaire, a more recent discovery of mine after I realized she was working on two books I regularly pick up; Deadpool and IDW’s Rocketeer minis. Bellaire’s work on both series are very unique and really caters to the art style and tone of each artist she works with. 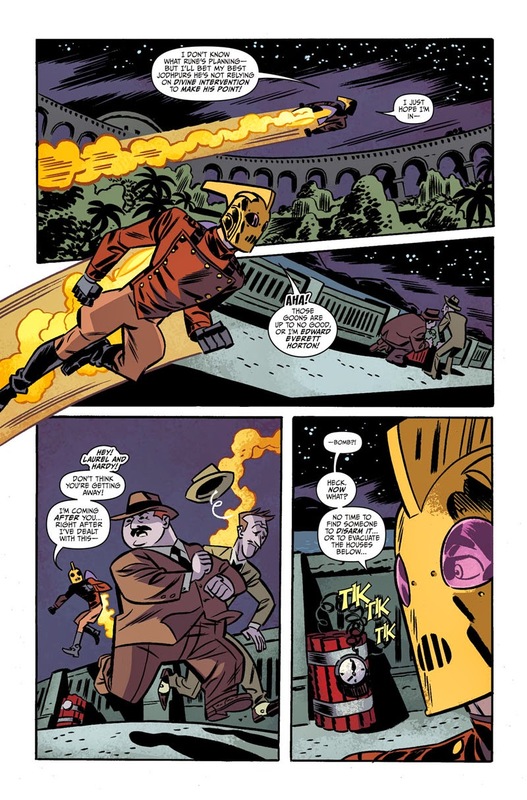 The colors on The Rocketeer bring a sense of adventure and match the time period perfectly, giving it a silver age feel. The way she colors J Bone’s art on the Hollywood Horror mini is very cartoonish in style where every color is defined and stands apart from each other, which compliments Bone’s style nicely as it looks like an animated series come to life. But when she colors Chris Samnee on the Cargo of Doom arc, WOW. This very much evoked Dave Stewart’s coloring on DC: The New Frontier for me, as the colors blend so smoothly to create perfectly balanced panels. After seeing this, I’d love to see her colors on Darwyn Cooke’s art. 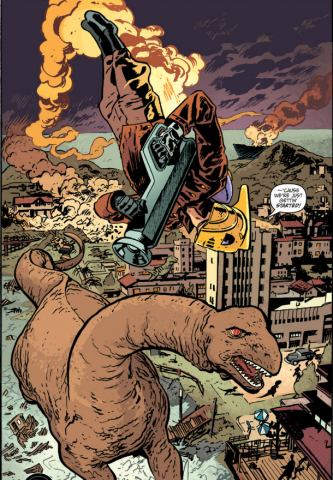 Bellaire’s colors on Paul Smith’s Pulp Friction 4-parter was a little more subdued, again complimenting his style, and also showcasing further versatility. Her color pallet on Deadpool also demonstrates great flexibility as it matches the frenetic energy of the series spot-on, but from one scene to the next can go from eye-popping to subtle, really setting the tone. 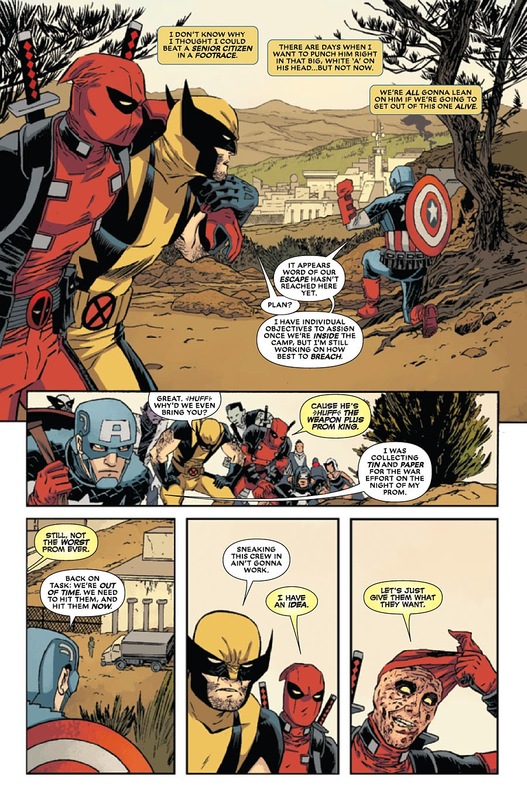 I was impressed with how even in a bright red room splattered with blood, your eye still goes to Deadpool, whose red suit pops in every panel. You can tell how much fun she’s having on this book as her work here is just plain eye-candy, in the best possible way. Justly, Bellaire’s name is featured on the covers of her work on Deadpool, something creators like Yanick Paquette and Scott Snyder are championing for colorists and which is definitely a step in the right direction. Hopefully I’ll come across more of Bellaire’s work in the future as it elevates the art on each title she’s credited on. Until then, tell me who your favorite colorists are as #ColoristAppreciationWeek rolls on!